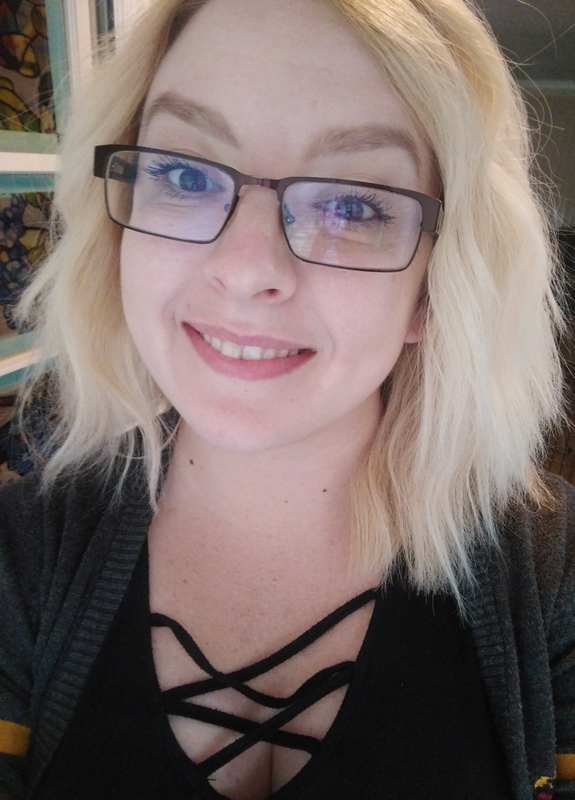 I’m a variety streamer with the Nomads! If you’re looking for a community of streamers and esports teams, check them out. 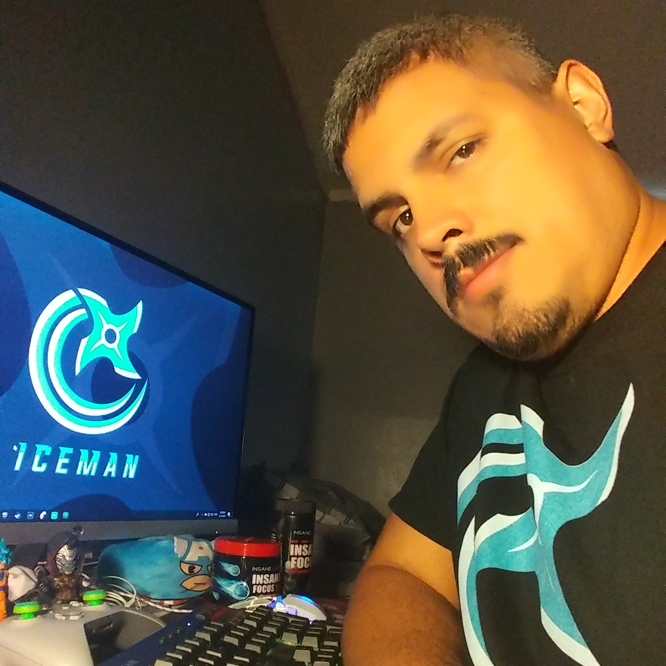 I had the chance to have a conversation with streamer IceMan who is a Twitch Affiliate and member of the Nomads. You can also find IceMan on Twitter, and YouTube. 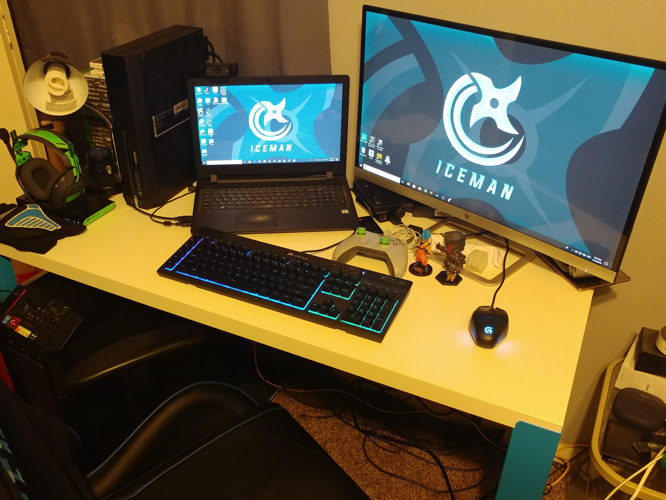 IceMan was selected by the Nomads as Streamer of the Month for January 2018. Hello my name is Isaac Velazquez aka IceMan, a silver haired guy just trying to make a living playing video games. I was born in Chicago but raised in Texas where I live now. I’ve been playing video game for as long as I can remember which is why I love them so much. I’m good at shooters but I’ll play any genre. Along with video games, movies and cartoons have been a big influence on my life. Teaching me right from wrong, how to be a better person, never give up if something seems hard are a few things that I’ve learned playing video games. I’ve been called IceMan since I was a kid. Many people think I get my nickname from the X-Men character IceMan but those that know me best know it comes from the movie Top Gun one of my favorite movies. As a streamer I’m no different from how I am in real life. What you see is me playing video games and reacting how I would when not in front of the camera. Being named IceMan, I try to stay cool headed, a regular cool guy that you want to game and hang out with. It’s interesting that you talk about how games, movies and cartoons have helped teach you some good life lessons. So many times when games and things are brought up, they end up being blamed for bad behaviour or as a bad influence. Is it just that games and thing are part of the youth culture of recent generations? What would you say could be done to show games as a good influence on people? It’s not recent at all. Playing early Mortal Kombat was a huge issue because of all the blood and gore. Compared to now however that game’s gore is nothing. Different generations have all had their games scrutinized by people. As to what can be done people need to stop looking for something to blame for the human mistakes. Whenever a shooting happens games and violent movies are the first things to get blamed by most people but my friends and myself have played some very violent games but we’re not shooting anyone or robbing cars. We as a society just don’t want to accept that there are people out there that just want to cause chaos and unrest in everyone’s lives. Perhaps there’s also something about context. People try to understand new things in the context of something they already feel they understand, or are at least familiar with. I remember my grandfather got angry at the tokens that the video arcades used, because he thought it was gambling. So the broader gaming as a community gets, perhaps the more understanding of it there will be, I wonder. In that case how much broader must it get? It’s true people sometimes fear what they don’t understand but with events like E3, EVO and many others one could say that video games have become or are becoming mainstream. The context is there if you take the time to understand it then i think we’ll start to see the blame come off of videos games. The other question is just how long will that take? Only time will tell. Making YouTube videos would be the other thing I’m working on. Trying to give my viewers a chance to catch up on any cool stuff whenever possible. What sort of videos are you making on YouTube? 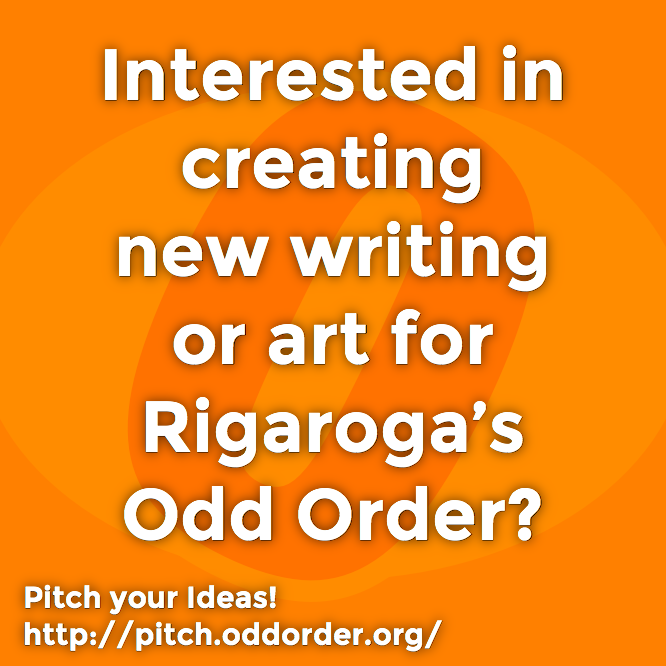 Any stand out example you want to share? Right now just some highlights of past streams. My more popular videos are of Fortnite and PlayerUnknown’s BattleGround. Great! I hope people take a moment to check those out. When videos expire on Twitch, it’s nice to have a longer term archive to show people. Right now I have an Xbox One and PC. PlayStation 4 to come very soon. Best advice I’ve gotten was from my girlfriend. She said use what you’ve got. Don’t worry about having a green screen or crazy PC right now. All that will come later right now just get your personality out there. That seems like really good advice! Just get in and do it, and only spend extra money on special equipment later when the time comes that you need it to keep growing. 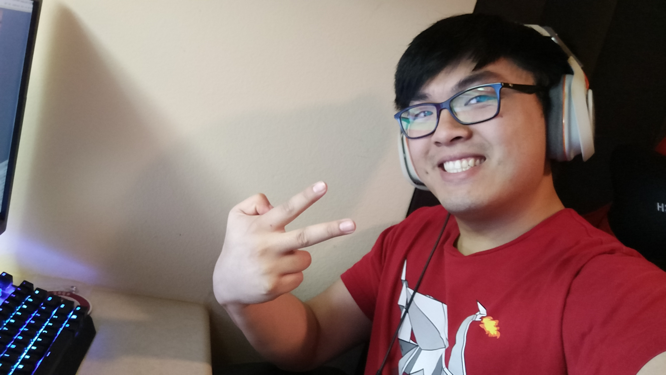 I’ve been streaming since June of 2017. One year anniversary coming up. Congratulations on the upcoming milestone! 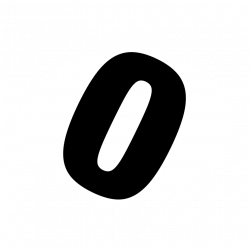 What’s your next milestone that you’re trying for with your stream? I would say the short term milestone would be 1000 followers and 50 subscribers. For partnership, I need an average of 75 viewers in 30 days which is pretty tough. Oh, yeah, it’s a big leap from the numbers needed on Twitch for Affiliate to Partner. Best wishes for your climb up that ladder! A few different games. PlayerUnknown’s Battlegrounds and Fortnite being the most popular. DragonBall FighterZ, Rainbow Six Siege, Monster Hunter World, Sea of Thieves, and SOS. I’ve been looking for more while not trying to break the bank. Yeah, the struggle is real! What’s coming up that you’re excited to play? God of War 4 and Red Dead Redemption 2 are the two I’m looking forward to. Hopefully E3 shows us some good games this year. Right now the immediate goals are to make Twitch and YouTube partner while also making a community of cool gamers along the way. I want this to be my career and that’s going to take a lot of work on my part. So far the fans that I have made have also become my gaming friends which is what I would like, have a bunch of cool people being friends and gaming with each other. Thanks to IceMan for talking with me, and be sure to check out his stream! I had the chance to have a conversation with streamer Lokisaul who is a Twitch Affiliate and member of the Nomads. You can also find Lokisaul on Twitter, and he’s got a Discord server. Lokisaul was selected by the Nomads as Streamer of the Month for March 2018. 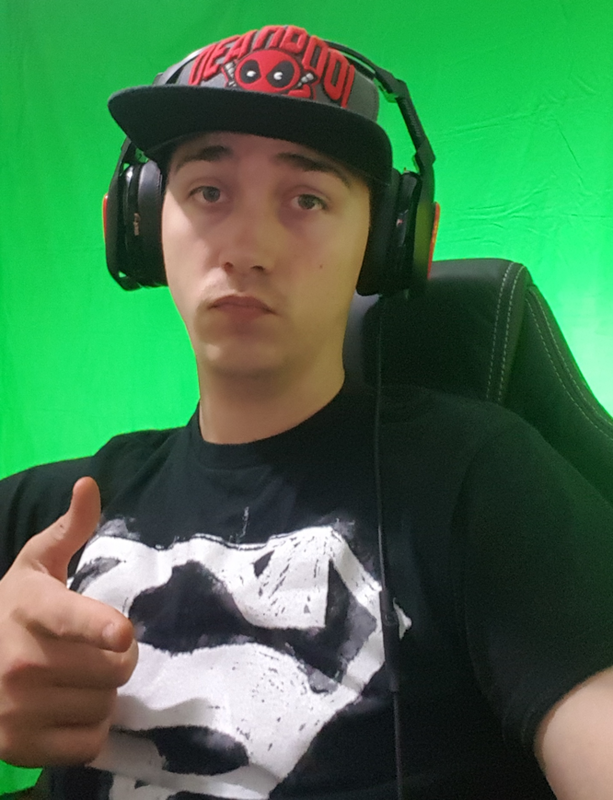 Hello, I’m Isaac (Loki) Saul, and I stream on Twitch, currently operating out of Del Rio, Texas. I’m 22 and currently in the USAF as my main focus, but I’m a Nomad in my free time. I didn’t really have the access to games growing up but once I bought a PS3 (and eventually PS4) with basic games such as Fallout and Metal Gear Solid, I quickly fell in love with being able to shoot my problems away (virtually, of course). As a variety streamer I’m here for the fun of it. I can’t help but ask, since you mentioned it: given that you said you like to use games to help you deal with problems, how do you feel about the suggestions that link violent games and violent behaviour? I feel that it’s a way to escape reality, but I don’t think its the reason violent behavior exists. My personal opinion, not as a Nomad or representing the US military, is that it’s how you are raised. Now on the other hand I’m looking at research that suggest that FPS games can hurt your long term memory, but it’s an incomplete study. Interesting stuff, and I think talking about this stuff is important, but also that we talk about it shows that the culture cares about these things too. I’m an active member of the Nomads, but I’m not on one of the esports teams. I’m there for the community of streamers, and to provide support to other streamers. How’d you get first get connected with the Nomads? Funny story! When I first started streaming I decided to grow my twitter by following a bunch of other small streamers. The ones I noticed were active I followed on Twitch and if the streamer seemed to be wholesome I would sub to the to see there reaction. Well, one of these people was [Twitch streamer and Nomad] Mo0ch2686. He was so excited to chat and was very talkative. I was hooked on his stream. After being in his chat and getting to know the other people, the Nomads gave me an invite to be apart of the team. 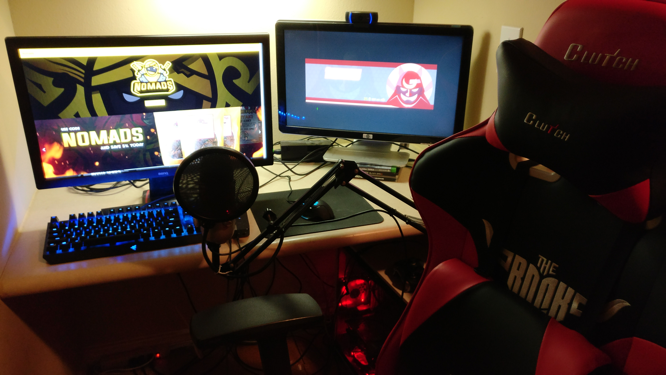 I run a Dell XPS 8920 with 6 GB DDR5, 16 GB RAM, Nvidia GTX 1060, while viewing through a 144 Hz ASUS 24″ ROG Swift for my gaming, an ASUS 22″ 4k UHD for my OBS/stream chat, and a basic Samsung 22″ monitor for any background programs I’m watching. I use a Logitech G502 mouse and a K95 Corsair Cherry MX Speed keyboard. 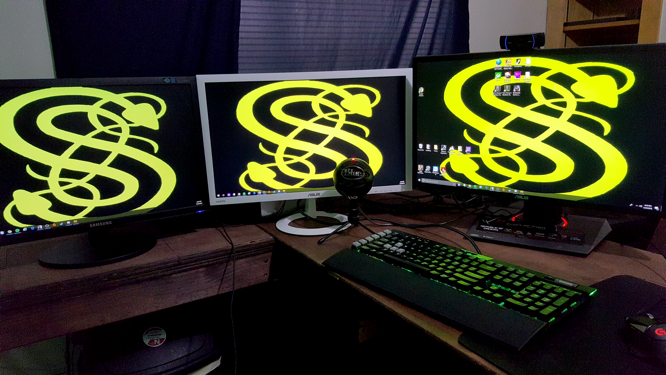 Three screens sounds pretty great for having everything up at once! I wish I knew that I don’t have to be good at a game for people to watch so to not get frustrated with it. That people will come watch if I was happy with my games. Oh, man, that’s good news for me too, because I’m awful at games, if I’m honest. I try to stop if I’m feeling too salty, so I keep it fun for everyone, including myself. Do you do anything to help you keep the right mood for streaming? Like take regular breaks, or chill out before and after? I’m not sure if you want to have this in the interview or not but I take in a lot of nicotine (dip) to keep myself leveled in all aspects of life. Sounds like you might do that even if you weren’t gaming? But, I know that I make some less healthy choices while I’m streaming, like more caffeine and sugar, than I would if I weren’t. There’s been a lot of focus on health in the gaming and streaming communities lately, like new rules about how long people can stream on Twitch before taking a break, and so forth. 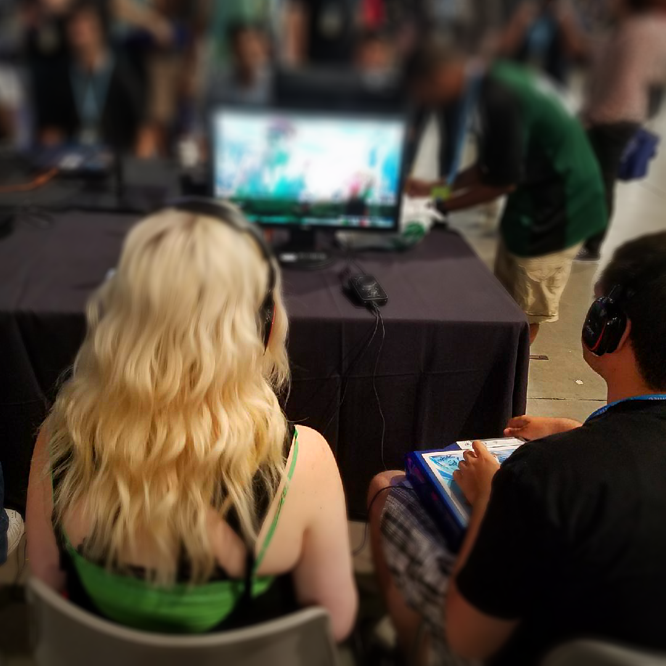 Do you think gaming culture is less healthy than the general population? It’s all a matter of person to person. Do I believe it’s a good thing to sit in a chair for 8+ hours? Probably not, but it’s not uncommon for a gamer to work out or eat healthy. All in all, I’ve seen unhealthy on both sides and as I have seen super healthy on both. Do you do anything extra to stay healthy? I work out 3 times a week and eat home cooked meals more often than not. Do you have any stories about something funny that’s happened in chat to share? Ha! Yeah, tipping with funny names is a good one! I started streaming on my PS4 on August of 2017 and switched to PC in November. Do you still play both? 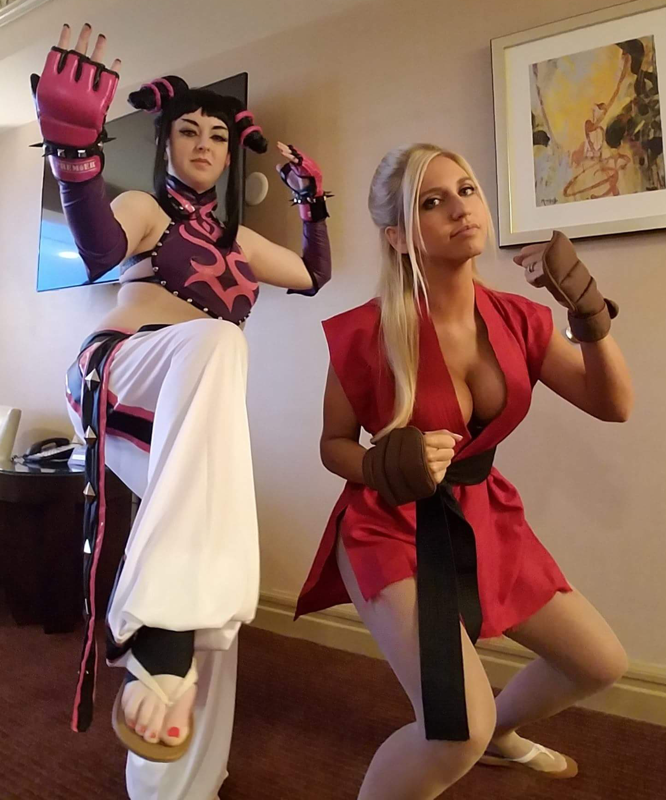 On stream? And, what brought about the change? When I started streaming I was on PS4 but once I started to play Playerunknown’s Battlegrounds, I switched to PC fully and sold my wallet to the Steam store. Oh, yeah. Having to follow the games to whatever platform … there’s lots of games I think I’d play if I had the right console or whatever. But, wow, I’m better now, but I have a ton of games in my Steam library, because they were on sale, that I’ve not played at all yet. Playerunkown’s Battlegrounds, Fortnite, Escape from Tarkov, and Sea of Thieves. Any games coming out you are particularly looking forward to playing? I’m waiting for some console games to go to PC, such as God of War and Gears of War. To help make a good name for myself and the Nomads, while bringing a community together. What do you do in particular to build community around your channel? Do you run one of the loyalty programs and have any giveaways you want to mention, or something else? As a streamer, I’m here for the fun of it. I don’t need the money as I already have a paycheck. So, I don’t like to bribe loyalty. I just support others and make myself known. I feel if I have 1 active member or 20, I’m just happy to be able to talk to someone and get to know their culture whether it’s someone a state over or across the pond. Thanks to Lokisaul for talking with me, and be sure to check out his stream! Check out the Nomads for a great and supportive gaming organization, with community and competitive teams.